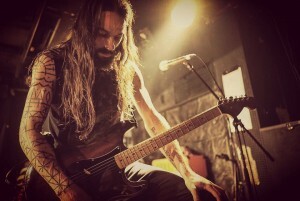 About Chris: Greetings and Merry Holidays. I’m a traveler, touring / recording guitar player, builder, and lover of well crafted beers on occasion. 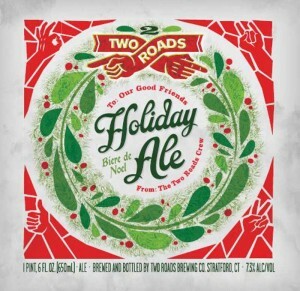 Two Roads Holiday Ale is inspired by the little known Biere de Noel style, a subset of Biere de Garde, both of which originated on small farmhouse breweries in the north of France. Biere de Noel, which translates as “Christmas Beer,” tends to exhibit a more malty profile than a typical Biere de Garde. I’ve participated in the 2beerguys 31 Beers of December Advent Calendar since 2012 and I have to thank Sean for asking me to join the fun again this year! I’ve been rather quiet in the craft beer world lately, but this is the time of year to get into the spirit. Two Roads Brewing has consistently come across my table over the past couple years, and this holiday seasonal Biere de Garde style ale has most certainly got me in the holiday spirit. Fully equipped with a serious malt character up front (which I tend to look for in my holiday beers) that clears out rather quickly into a nice blend of french hops that provide a palate cleansing and refreshing bitterness. 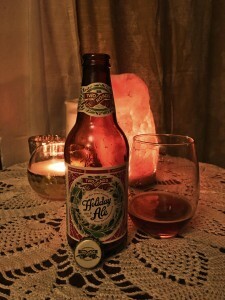 The ABV is just high enough to warm you up and the overall balance is quite wonderful.